Email, Overnight, 2-Day, or Regular Mail. Please correct the errors listed below. SafeDriver.com has partnered with the American Red Cross to help those in need. Your generous donation will assist in maintaining the many programs that the Red Cross offers including support to victims of disasters, assistance for military members and their families, and providing international humanitarian aid. We apologize, but this course cannot be taken by residents of New York State for an insurance discount. We suggest going to Big Apple Traffic School. What's a CVN? What's a CVN? What's a CVN? Having problems? Want to try using PayPal instead? We take your privacy seriously. When placing this order, all of your information is encrypted and transmitted using industry standard Secure Socket Layer (SSL) protocols secured by Symantec. Course begins after registration at your convenience. Over 12 Million Happy Customers! To find out more information about Google Analytics, its security and privacy policies, please click here. To opt out of Google Analytics click here. The remarketing and similar audience features allow us to reach consumers who previously visited the Website as well as consumers similar to past visitors of the Website. With this feature we are able to match those users with the most relevant ads in order to attract those visitors to the Website. Such ads may appear to users as they browse other websites that are part of the Google Display Network or as they search for terms related to the Company's products on Google. To learn more about remarketing with AdWords click here. For additional information about AdWords similar audiences, click here. Interest-based advertising features permit us to reach consumers based on their interests as they browse websites or apps on the Google Display Network. For instance, if a user has been browsing for a specific product, like a Driver Safety Course, and takes a break to read a news site, Company ads relevant to its driver safety courses may reach that user while they browse the news site. This helps us attract the customers that have expressed an interest in our products and services, or are likely to express an interest in our products or services based upon their already expressed interest categories. To learn more about AdWords interest based advertising, like interest categories, click here. Similarly, with the demographic and location targeting features, we are able to target our ads to a specific set of consumers within a particular geographic area, age range, gender or parental status that are most likely to purchase our products and services. For example, we may set our ads for a Florida Driver Education Course to be displayed only to users situated in the State of Florida, or our ads for a Mature Driver Course may only target adults of qualifying age. For more information about AdWords demographics targeting, click here. For AdWords location targeting click here. The Company's BDI and TLSAE Courses are approved by the Florida Department of Highway Safety & Motor Vehicles. Additionally, the company is an approved third party provider of the Learner's Permit Test required to obtain a learner's permit in the State of Florida. The Florida Department of Highway Safety & Motor Vehicles REQUIRES that we collect a State Assessment Fee for each person completing a BDI or TLSAE course. Assessment Fees are remitted to the Department's Highway Safety Operating Trust Fund which is used to administer the Department's programs and to fund the general operations of the Department. Providers are also required to process and submit your information to the Department, and, for BDI customers, provide a course completion certificate, as well as maintain certain course records pursuant to Florida law. Effective January, 27th, 2015, the Florida Department of Highway Safety & Motor Vehicles requires providers to contract with Solutions Thru Software (STS) for testing services. STS requires providers to remit an additional per test transaction fee for each initiated Florida driver's license test administered by the provider. This fee includes an applicant usage fee and the additional per test transaction fee that shall be remitted to STS in compliance with the State of Florida requirement, as well as the related processing and credit card transaction fee incurred by the provider. The Department and STS charge a retesting fee for those Learner's Permit applicants who fail to pass the Florida driver's license test. Additionally, the Company charges a fee for license re-testing, as well as a retesting fee for those who fail to pass the BDI and TLSAE course. Drive's License Prep Courses (new driver/drivers license/motorcycle license/CDL license) are not regulated by the State of Florida and customers may take unlimited tests/re-test during their access period. Submitting your information to the Department for the BDI and TLSAE Course and the Learner's Permit Test is always free at SafeDriver.com. The Company's Texas Defensive Driving Courses are approved by the TDLR. Providers are required to process and submit your information to the Department and provide a course completion certificate, as well as maintain certain course records pursuant to Texas law. The Company charges a retesting fee for those who fail to pass the exam at the end of the Texas Defensive Driving course. The above named training facility, hereinafter referred to as "school," hereby agrees to provide the undersigned party, hereinafter referred to as "student," with six (6) clock hours of defensive driving instruction (The Program). The 6 hour course entitled "Texas Aware Driver" is scheduled to be completed during the following time frame: The program must be completed within 90 days of registration. All tuition and fees paid for the course are due and refundable when: 1) the course of instruction is discontinued by the school, preventing a student from completing the course; OR 2) the enrollment of student was procured as a result of any misrepresentation in advertising, promotional materials of the school, or representation made by an owner or employee of the school or course provider. All refunds will be completed within 30 days after the effective date of enrollment termination. Any student who has not successfully completed the course within 90 days of registration will be terminated and not allowed a refund. Any student who fails the course will not be allowed a refund. No refunds may be requested 90 days after the student registers for the course. A full refund for the Program will be made to any student who cancels this Agreement before midnight of the third day, excluding Saturdays, Sundays, and legal holidays, after this Agreement is signed by the prospective student, unless the student has successfully completed the course or received a failing grade on the course examination. A student failing the personal or course validation aspects of the Program is considered to have completed the course but failed. My confirmation of acceptance below signifies that I have been furnished a copy of the cancellation and refund policy; and school regulations pertaining to validation policy, grading policy, rules of operation and loss and/or damage fees. I realize that any grievances not resolved by the school and/or National Safety Commission, Inc., 1102 A1A N #107, Ponte Vedra Beach, FL, 32082 or telephonically at 1-877-299-4511 may be forwarded to the Texas Department of Licensing and Regulation, Driver Training, PO Box 12157, Austin, TX 78711 or call 1-800-803-9202. I represent that the personal information provided on this form is true and correct. I understand that in order to validate my identity while taking the course, the school will have to access information about me other than what was provided during registration. I hereby give my permission to the school to access this information solely for the purposes of validating my identity. I understand that the certificate of completion cannot be provided without complete and correct information. I agree not to circumvent the Program and any attempt to circumvent the Program shall be in violation of this Agreement. I agree that I am solely responsible for any and all damages that occur from my attempted circumvention of the Program. I understand that my sole remedy for breach of this Agreement by the provider is the return of monies paid for the course. I expressly waive any claims for incidental or consequential damages. The school is prohibited from issuing a certificate of completion if the student has not met all of the requirements for course completion and the student should not accept a certificate under such circumstances. A student commits a crime punishable by imprisonment if the student 1) signs a certificate and has not received 6 hours of instruction; and/or 2) falsifies any information on a certificate. This Agreement constitutes and incorporates all negotiations, understanding, and agreements between the school and the student and no verbal assurances or promises not contained herein shall bind the school or the student. Duplicate Certificate Policy. 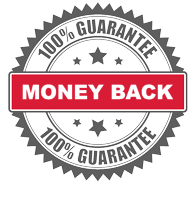 National Safety Commission, Inc. will provide duplicate certificates for students upon request for a processing fee of $10. If the student requests a duplicate within 30 days of the date of issue of the original certificate because the original was not received within 15 working days, was damaged so as to be unusable, or was issued with errors due to no fault of the student, National Safety Commission, Inc. will issue the duplicate at no cost to the student. Persons requesting duplicates will need to contact National Safety Commission, Inc. at 1-877-299-4511. By accepting this agreement, I understand that a test is provided as part of the Program. I represent that I am the sole person that will answer the test questions and will do so without assistance from a source other than the Program, Program Instructor or other authorized material. By accepting this agreement, I understand and agree that the certificate of completion is contingent upon my SUCCESSFUL COMPLETION of the program and verification that I have successfully completed the Program. By accepting this agreement, I understand that I must answer questions about the videos in the course correctly or I will not be able to continue the course. By accepting this agreement, I understand that I must answer questions about the course contents at the end of most chapters. Answering less than 75% of questions correctly three times on a single chapter will result in course failure and loss of fees paid for the course. By accepting this agreement, I understand that I am allowing and giving my permission to National Safety Commission, Inc. access information about me other than the information provided by myself on this Agreement to validate my identity during the duration of the course. This information will be accessed by public database sources and includes but is not limited to name, address, and date of birth. This information will be used solely for validation purposes and will not be sold to any third party. By accepting this agreement, I understand that course service interruption may occur during the attendance of this course. Our courses save your place. Start and stop whenever you want.